I have loved living in Central Texas. 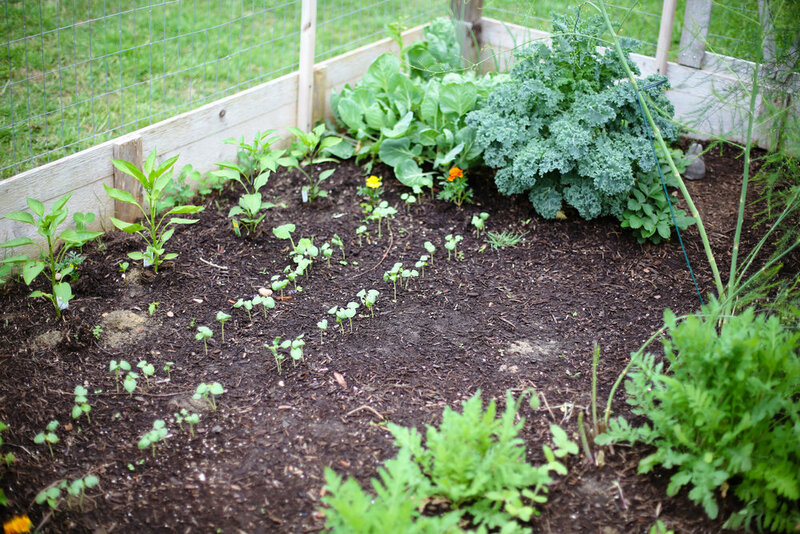 One of the great things about living here is being able to garden almost year-round. 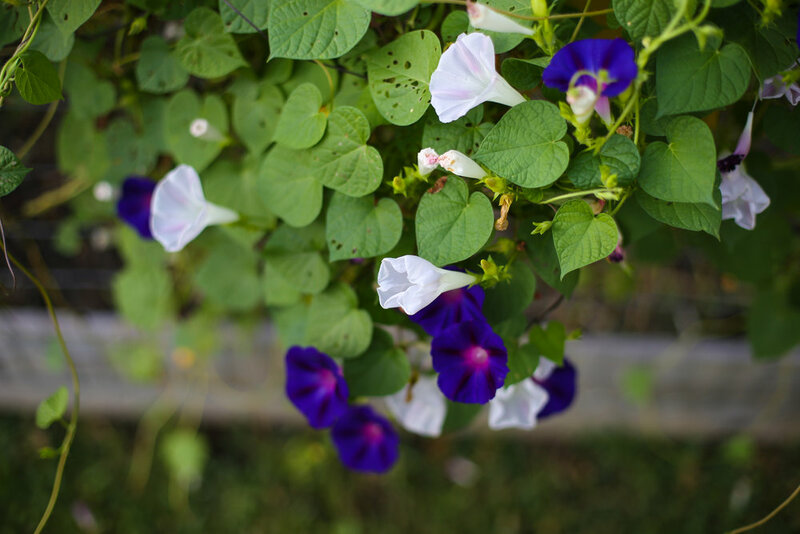 I wanted to create a post of the plants and flowers we have had success with here at our home in Temple, Texas. 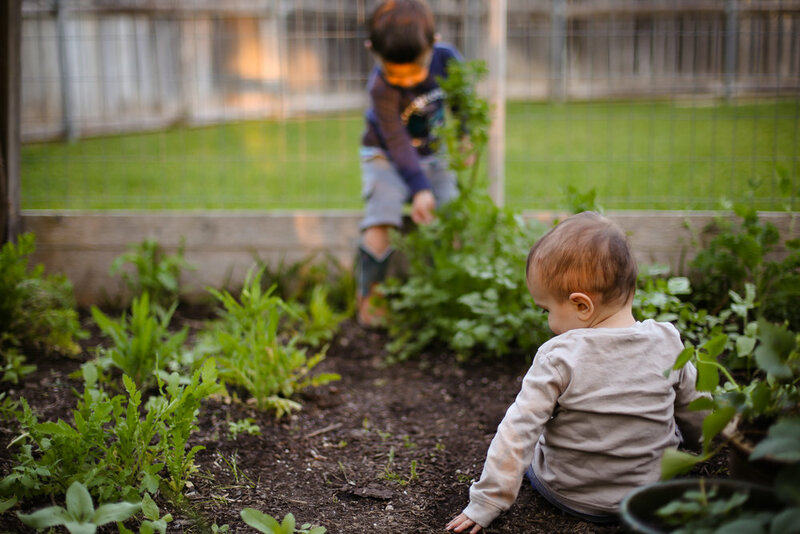 Our two young sons are very involved in our gardening. 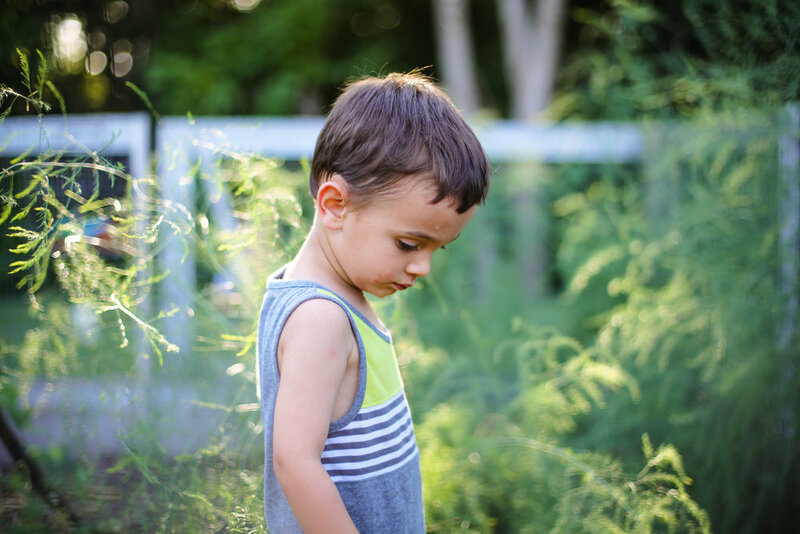 They help with picking out and planting the seeds, pulling weeds, and harvesting our fruits and veggies (and by harvest I mean they eat almost everything before we even have a chance to bring our hard work in the house). I don't care where they eat them as long as they are eating VEGETABLES! Our vegetable/sunflower garden receives morning sun and late afternoon shade, we have it in the lowest sunny spot in our yard. Our fenced-in garden is 8 x 12 feet and Preston built it in the very hot summer of 2013 right after we moved in to our home. We had great success with squash and zucchini that first year! We used the existing soil and added about 6 bags of garden soil at this time. One of our favorite plants to grow are sunflowers! We have grown all types and my boys absolutely love them! 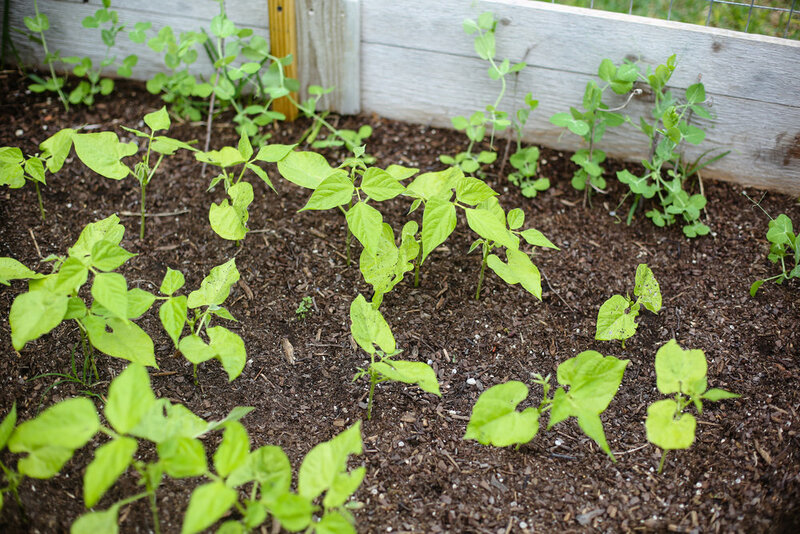 We follow the directions on the seed packet and always plant the seeds in early March. There is nothing like seeing a giant flower towering over your head, we leave the dried up sunflower heads out by our bird feeders for the dove to feast on when they are spent. We have two planters attached to the fence to grow our strawberries. 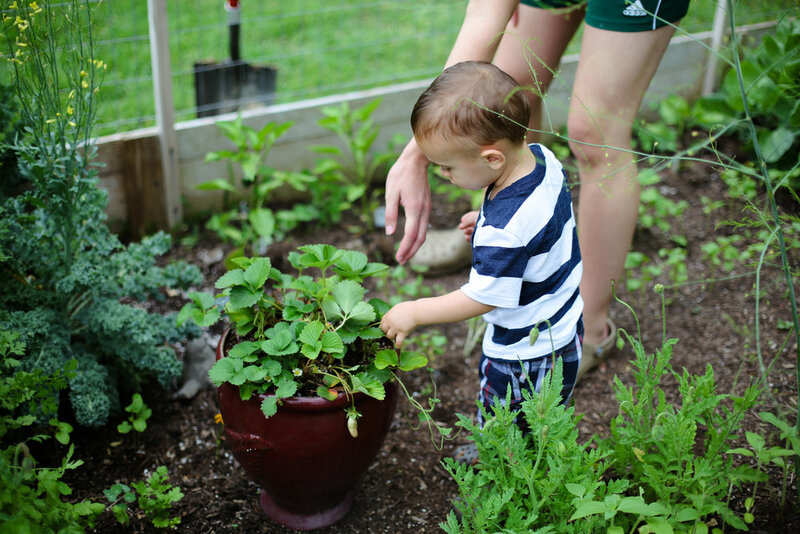 I like having our strawberry plants off of the ground and hard for little boys to reach. This keeps the snails and rolly pollies out of them...as well as anxious fingers trying to pick the green berries too soon. We uncover the green berries and prop them up on top of the leaves, I think it makes them turn red faster but this is not a proven fact ;) Holes were drilled in the bottom of these planters so the water doesn't collect in the planters and drown the plants. I like hearing hummingbirds whizzing by while working in the garden, so we've had a feeder here two summers. Picking berries on a chilly May morning. 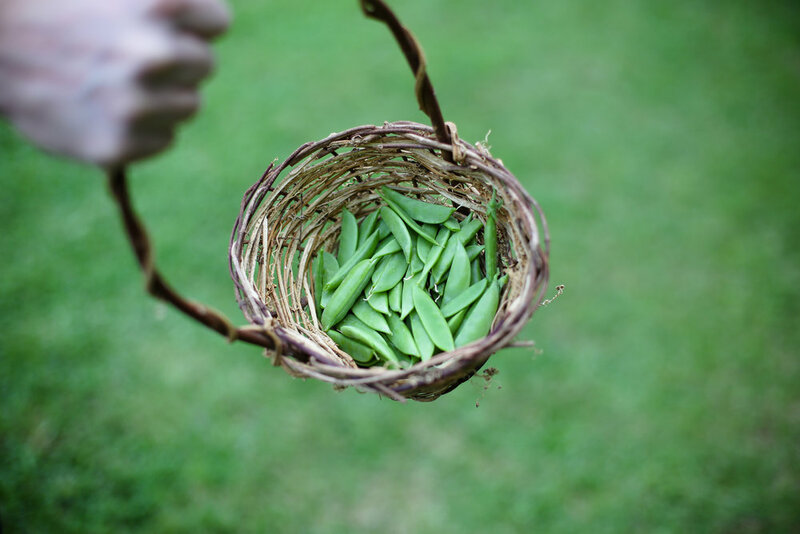 We have sugar snap peas (we planted the seeds in late February/early March) growing up the side of our garden fence. Our Gordon setter likes to help herself to a little sugar snap snack. 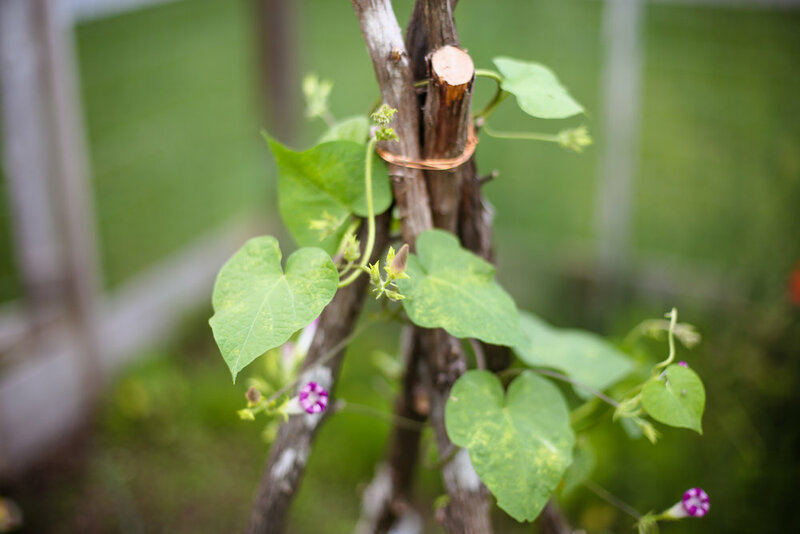 Sugar snap peas like to climb, make sure they have a trellis or fence to travel up. Garden basket to keep all the shovels and rakes for the little gardeners. This is our garden and youngest son this year, May 2017. This was our garden last April 2016, little boys grow faster than a garden. Youngest spindle boy chomping on asparagus. Sugar snap peas. Crunchy and sweet! Little boys love em'! 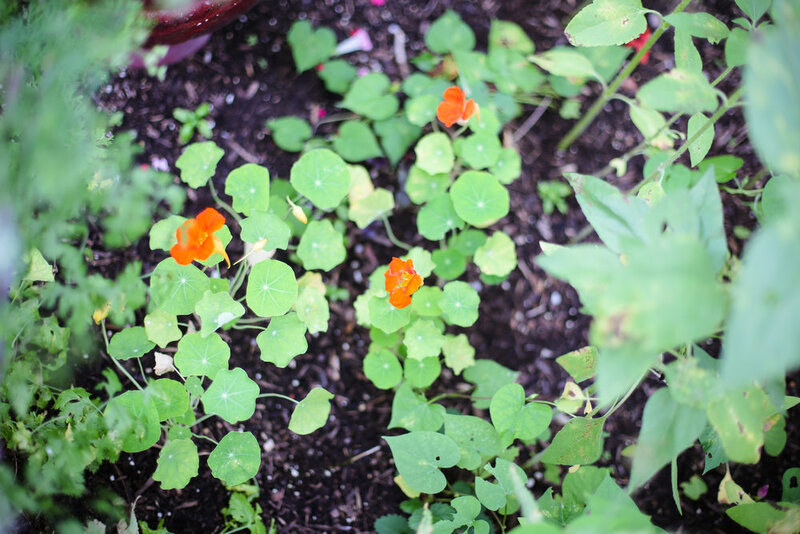 Mama kitty, Tiger, surrounded by nasturtium, basil, cilantro, bell peppers, and a flower I planted last summer that is trying to take over. Italian oregano will quickly take over your garden if you let it! I've given parts of mine to all my gardening friends around town. These two also like to help out in the garden. 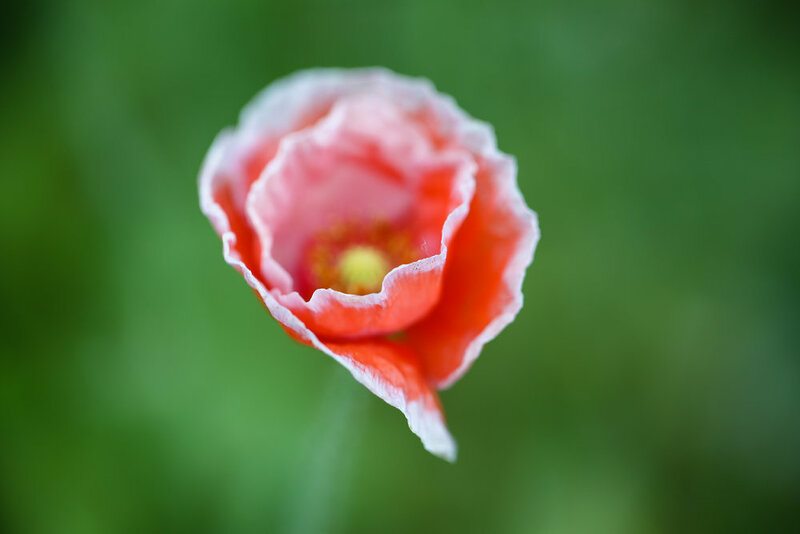 We plant poppy seeds every October, I have to look out for them first thing in late January/ February as the tiny plants start popping up in our garden! We have to remember not to cover them over completely with new garden soil. I have always had a handful of the seedings do well. Here they are in April with sunflower sprouts all around them, and some asparagus trying to grow in them. Our favorite gardening attire is pajamas. To the left we have an asparagus bed, I planted two year old asparagus roots (from Home Depot) in February 2014 and have had asparagus in the spring ever since! 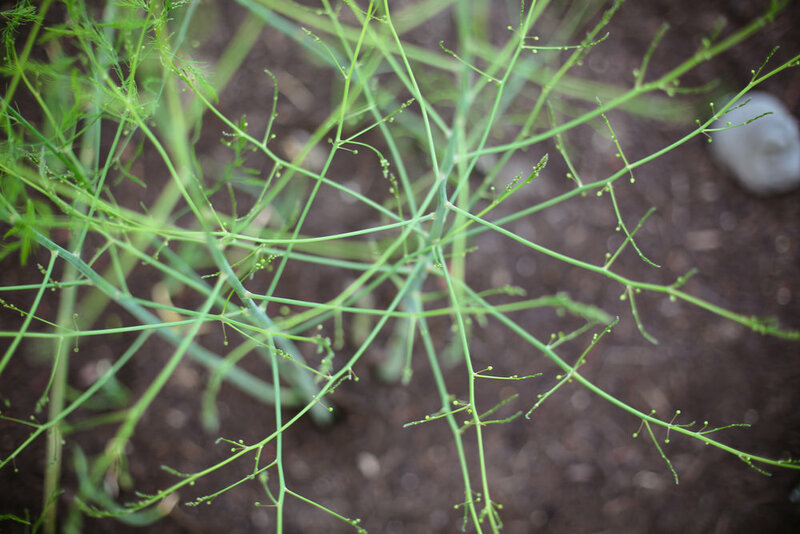 We let our asparagus turn in to trees late summer and build up energy for the next harvesting season. We have blackberry vines all along our backyard fence, one of our plants produces huge berries in late summer! You can root the ends of the blackberry off shoots in to the ground, once roots form cut it from the vine and you will have a new blackberry to plant some where else in your yard! Or give to a friend. The previous owners of our home planted two peach trees and we are grateful! 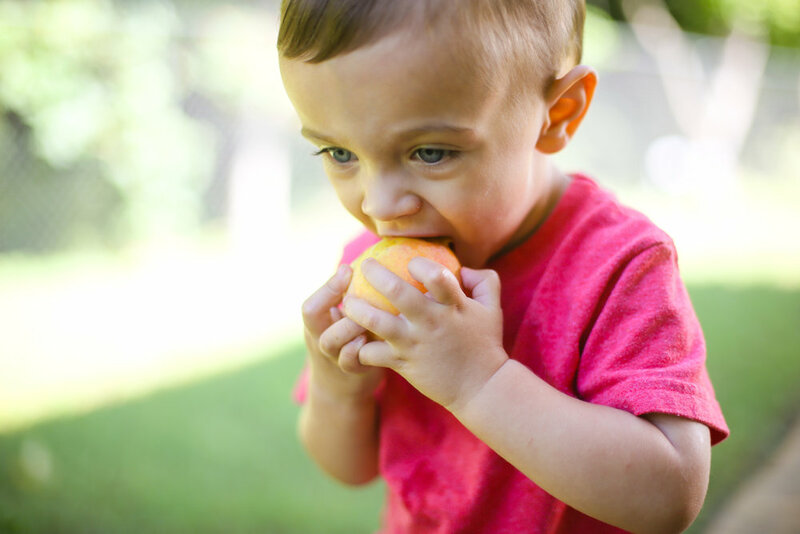 Summer 2015 we had an amazing peach harvest! THIS delicious recipe made from our peaches & blueberries from HEB! 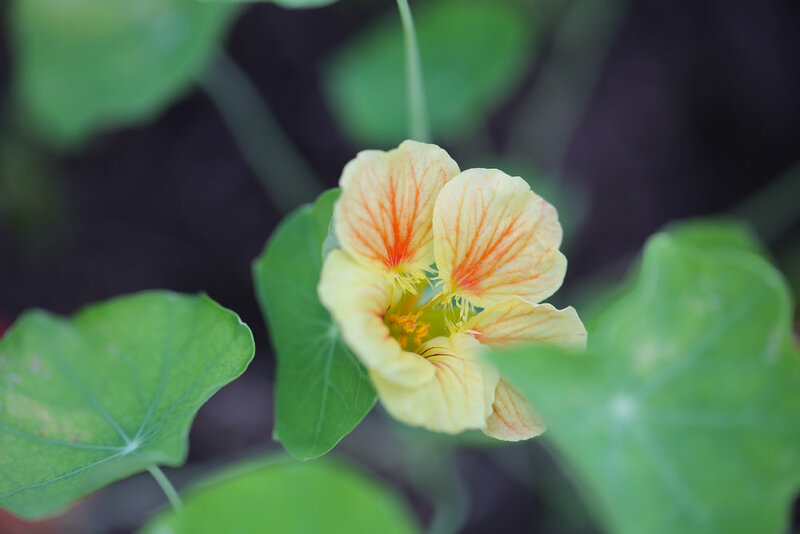 Nasturtium is easy to grow in pots and in the garden, their circular leaves and beautiful flowers are edible and so pretty to look at!